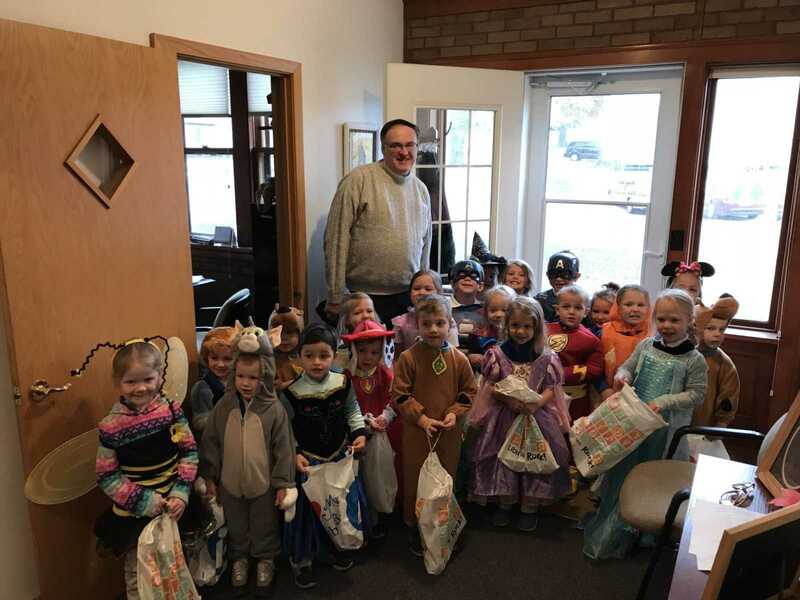 The Remsen St. Mary’s Little Hawks Preschool had a lot of fun the week of Halloween. On Monday, Oct. 29, Bavarian Meadows invited us up. The children and residents made “Puffy Ghosts” together. 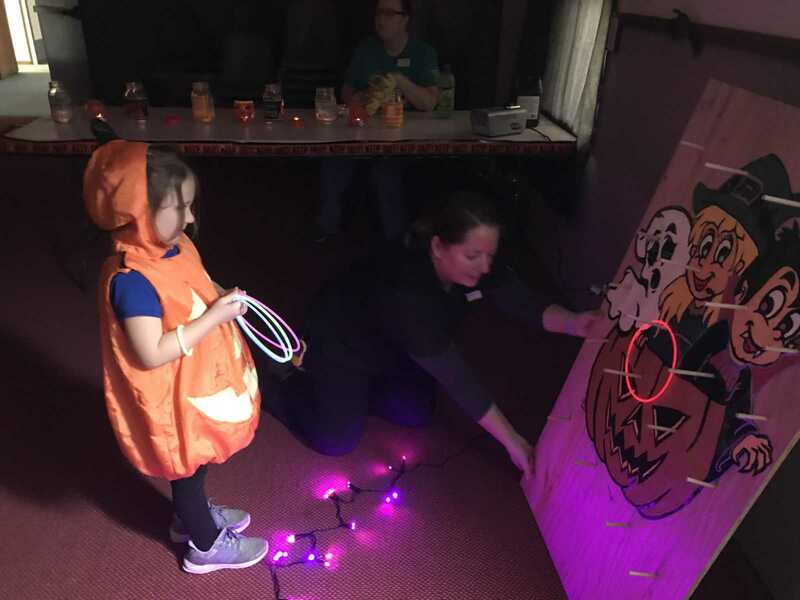 On Tuesday, Oct. 30, Happy Siesta invited us to their Spook House where the children walked through the spook house and played games with the residents and staff. 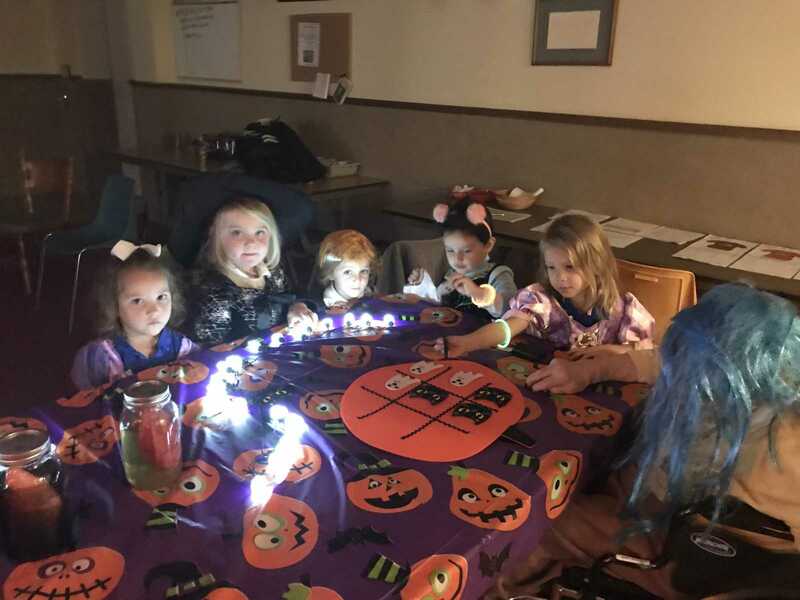 On Wednesday, Oct. 31, the children had their classroom party and trick or treating around to each classroom and St. Mary’s Rectory. 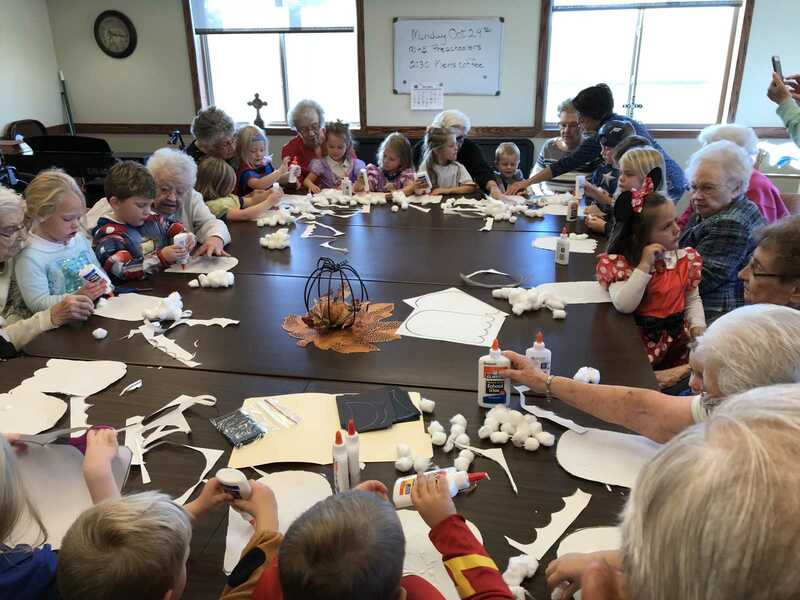 Three and four-year-old preschoolers work on their crafts with the Bavarian Meadows residents. 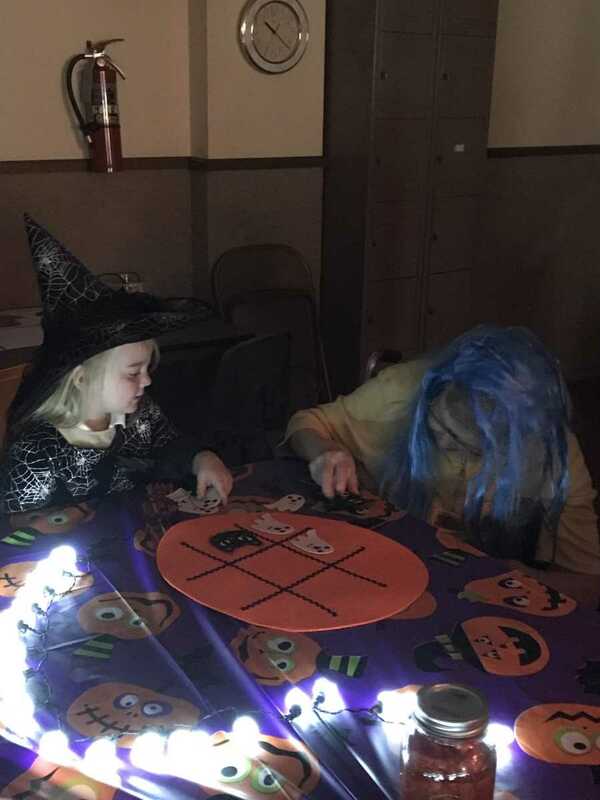 From left: Samantha Glassmaker, Iris Nicoson, Berkley Klein, Nora Frederick, Audrey Brownmiller, and a Happy Siesta resident play tic-tac-toe together. Iris Nicoson and resident playing tic-tac-toe. Little Hawks Preschoolers trick or treating at the Remsen St. Mary's Rectory. 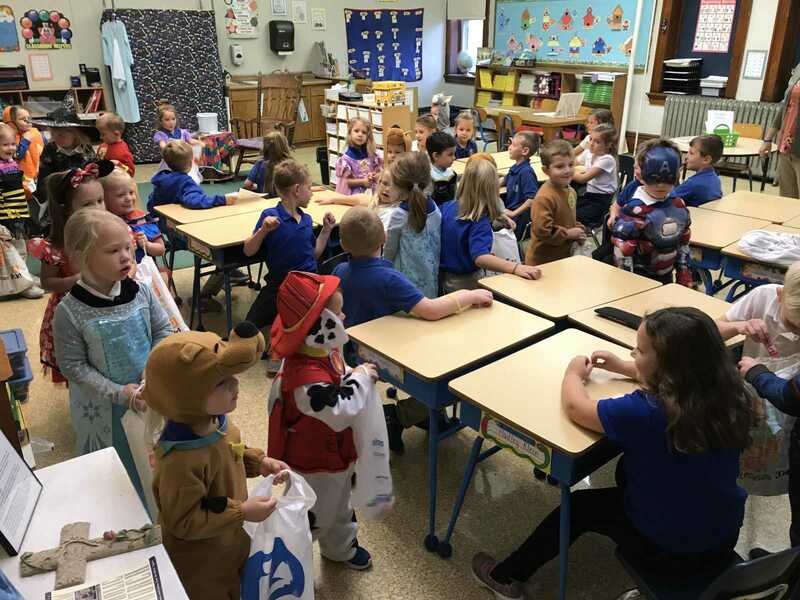 Remsen St. Mary's Little Hawks Preschoolers trick or treating in the First graders' classroom.